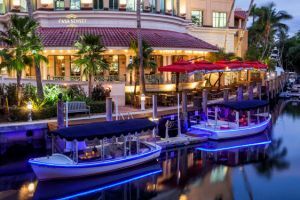 Fort Lauderdale, FL (Dec. 3, 2018) – Last month, South Florida’s newest waterfront restaurant Casa Sensei officially launched with a private grand opening celebration. 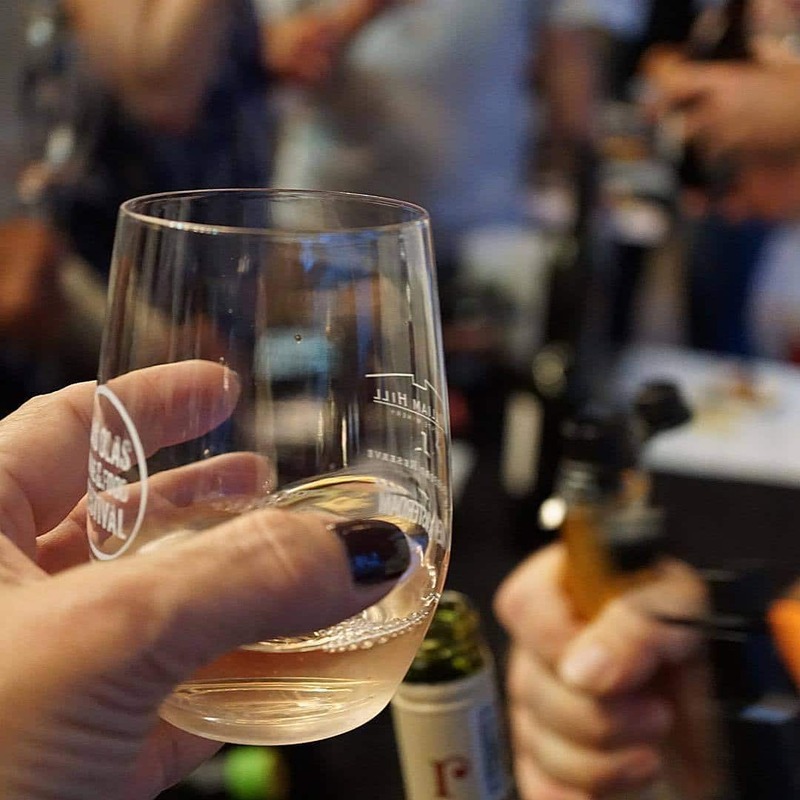 More than 500 guests, including local VIPS, culinary media and city officials, attended the sunset soiree along Las Olas Blvd hosted by Casa Sensei owners Victor H. Diaz, Patricia Lara and Executive Chef and owner, Richard Huang. Guests were greeted by beautiful geishas before enjoying the evening’s festivities including a gondola cruise along Fort Lauderdale’s scenic waterway, live performances by traditional Asian drummers and beats by DJ La Trice Perry. Guests also enjoyed a selection of complimentary bites from Casa Sensei’s menu in addition to a 10 ft. long sushi boat, overflowing with a selection of over 400 specialty rolls while sipping on Asian-inspired libations including saketinis and Japanese whiskey cocktails. The eatery is now open for lunch and dinner. Menu highlights include a selection of ramen, rice and noodle dishes along with Dim Sum, sushi and Latin-inspired bites. 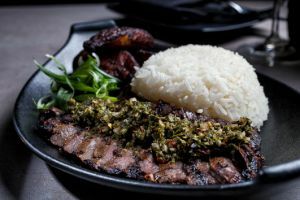 Notable entrees include the Mongolian Peking Duck, Korean Steak with Chimichurri, the Mojo Marinated Lechón pork chops and Korean BBQ Bulgogi. Notable specialty drinks include the Nikka Fashion, served with Nikka Coffee Japanese Whiskey, cocoa powder and mole bitters and the Kentucky Sake, a combination of Noble Oak Bourbon, Joto Yuzu Sake, ginger liqueur and Free Brothers plum bitters. In partnership with Riverfront Gondola Tours, patrons can reserve a private dinner cruise on one of the three eco-friendly and electric-powered boats that seat up to six people. The 90-minute gondola ride offers views of stunning waterfront homes, tropical foliage and South Florida wildlife, including manatees, peacocks, iguanas, exotic birds and other animals in their natural habitat. The stylish restaurant includes two private dining rooms accommodating up to 22 guests, including a private VIP space that seats up to 12 people. The new redesign also includes dockside al fresco dining with a new Zen garden with fire globes and two sweeping terraces overlooking the tranquil Las Olas waterfront with seating for up to 70 guests. The eatery has attached parking within Himmarshee Landing’s 4-story, public parking garage. 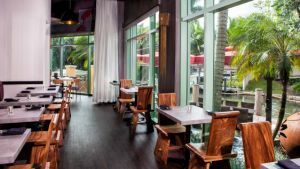 For reservations visit www.casasensei.com or call 954.530.4176. East meets South at Casa Sensei, a culturally immersive restaurant that combines Pan-Asian flavors with the dynamic culinary traditions of Latin America, in the heart of downtown Fort Lauderdale. The eatery offers guests an unforgettable dining experience thanks to an innovative menu and creative presentation with waterfront dining overlooking the Himmarshee Canal. Located at 1200 E Las Olas Blvd., #101 in Fort Lauderdale, Florida, Casa Sensei is open on seven days a week for lunch and dinner. For reservations, call 954.530.4176.